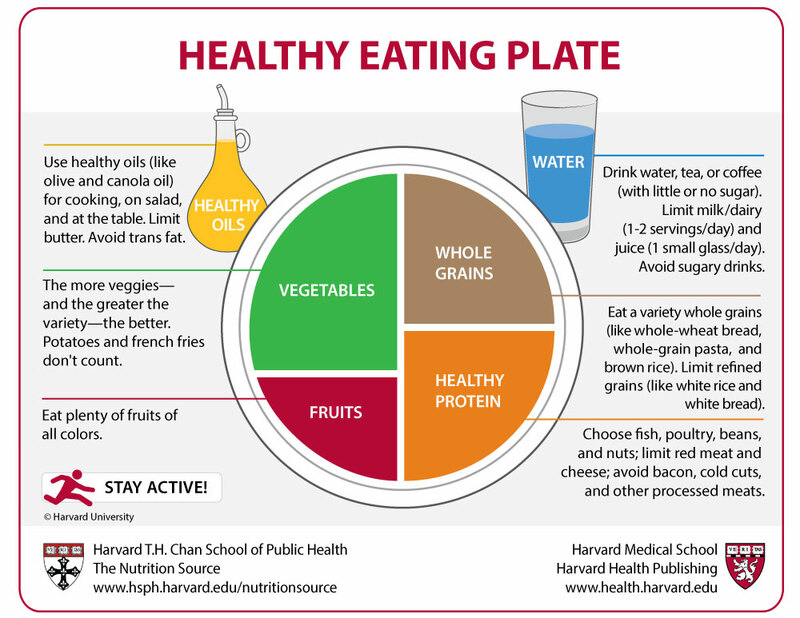 The Healthy Eating Plate was created by Harvard Health Publishing and nutrition experts at the Harvard School of Public Health. It offers more specific and more accurate recommendations for following a healthy diet than MyPlate, developed by the U.S. Department of Agriculture and the Department of Health and Human Service. In addition, the Healthy Eating Plate is based on the most up-to-date nutrition research, and it is not influenced by the food industry or agriculture policy.